I discovered the Baby K’tan by accident when Googling for a sling that would give me double-shouldered support. I wanted a sling/wrap style carrier as I find them much cosier for babies when they are small. However, the slings I had used previously gave me killer back and shoulder aches because they put all of baby’s weight on one shoulder. So finding the Baby K’tan was a dream come true! I only discovered this product with my third kid, but the Baby K’tan is something I wish I had with my first! 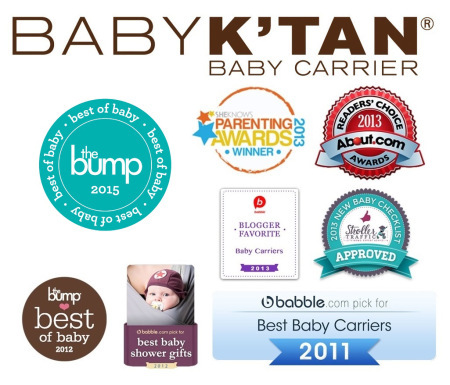 The Baby K’tan carrier is a perfect blend of sling, wrap and structured carrier, and provides the benefits and carrying positions of all three. There are no buckles or rings that get in the way, so the only thing that touches baby’s skin is the soft wrapping of the carrier. It features an award-winning double-looped design that eliminates the need for any wrapping. Hence the tag line – a wrap without all the wrapping! The carrier comes as two loops of fabric joined by a smaller loop of cloth. There’s also an extra safety sash to use for certain carrying positions (and when not in use the sash folds away as a bag to store the carrier – how nifty is that?). 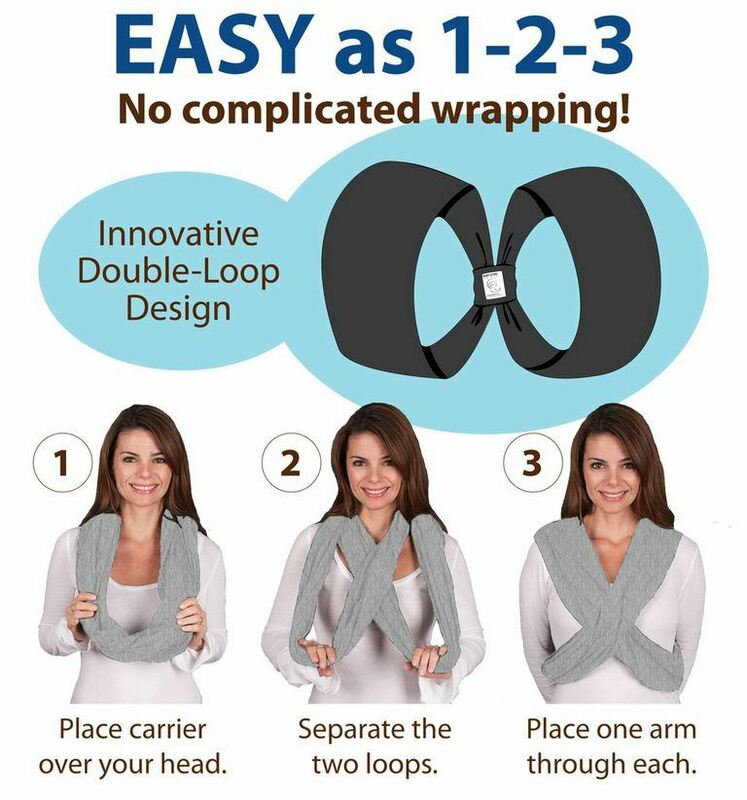 It’s a simple yet clever design, functioning as a cross between a sling, a wrap and a carrier. It is as light as a sling but you can carry baby in more positions, as cosy as a wrap but without all the fussy extra cloth dangling everywhere, and as comfortable as a structured carrier but without the bulk. The other tag line the carrier has is this – slips on like a t-shirt! And it’s true, putting on the Baby K’tan is as easy as putting on a T-shirt. Just put the loops over your head like a necklace, put one arm through each loop, and you’re basically ready to put baby in. Watch this video to see how easy the Baby K'tan is to use compared to a traditional wrap. 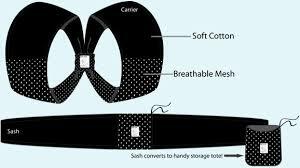 The Baby K’Tan Breeze is similar in every way to the original Baby K’Tan except that instead of being made entirely of solid cotton, half of it is made with cotton mesh. That is, half of it has little holes to provide more ventilation. The Baby K’tan Active has the same double-looped design but comes in a special hi-performance fabric that is breathable, wicks away moisture, has a cooling effect, and provides UVA and UVB protection. 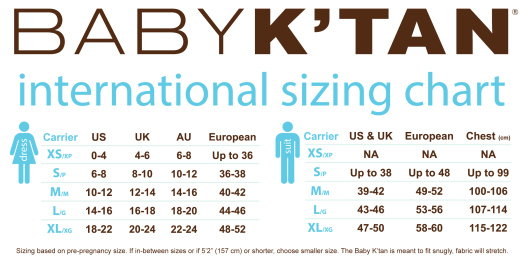 The Baby K’tan is a sized carrier, and getting the right size ensures you have the right fit when carrying your baby. Just follow the sizing chart below to find the correct size for you. Even if you like using strollers, this is a great carrier to have on hand because at some point baby will decide she’s had enough of the stroller and wants to be carried. This carrier is small and light enough to stuff into your handbag. These qualities also make it a good for travel! I hope you consider getting one, and that you’ll enjoy it as much as I have!